There’s a specific type of pleasure that comes with buying an expensive product. 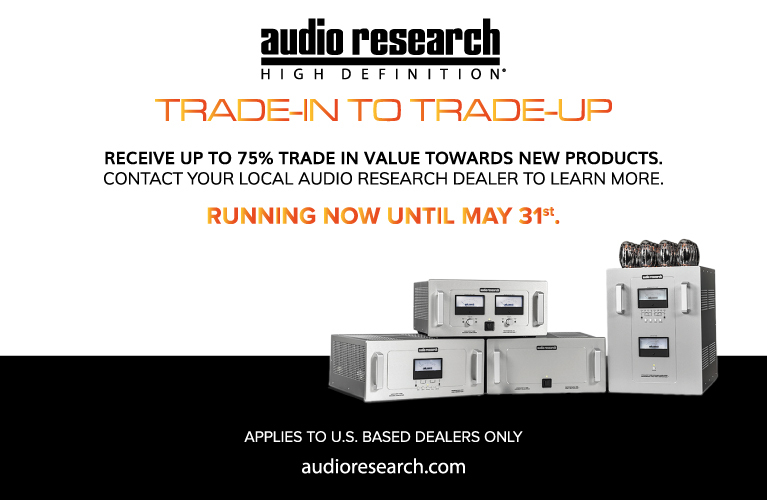 Whether it’s a loudspeaker, an amplifier, a watch, a piece of fine furniture, a car . . . the giddy anticipation is metered by the awareness of how much you paid for it. The feeling grows all the more acute as the price and quality rise. I vividly remember my conflicted joy at receiving my very first dealer-ordered, high-end product: a pair of Dynaudio Contour 1.8 Mk.II speakers. Having worked hard and saved for several years, I hemorrhaged a good deal of my shallow savings account on the handmade Danish boxes, which I partnered with a budget 5.1-channel surround-sound receiver and a five-disc CD changer. My tender affection for the rosewood Dynaudios was almost completely offset by my guilt at having invested so much money in them. A few years later, I bought for a few hundred bucks a new-in-box Klipsch ProMedia 5.1 Ultra computer speaker system, a discontinued model with a bit of a cult following. I was as giddy as I’d been about the Dynaudios, but with almost none of the guilt. Used in a 2.1-channel configuration, the speakers were perfect for late-night parties in the collegiate wilderness of central Ohio. The sub’s two 8" drivers, combined with the two-way satellites, could play cleaner and more loudly than any individual, sober or inebriated, had a need for. In many respects, I had more fun listening to the little Klipsches than the Dynaudios, which cost almost an order of magnitude more. When something inexpensive works exceptionally well, and can pass for a product that costs significantly more, the buyer can know no better feeling. When I saw the Millenia CT system ($699.99 USD) while touring the Paradigm factory, in Toronto, in early October, the Klipsches instantly came to mind. 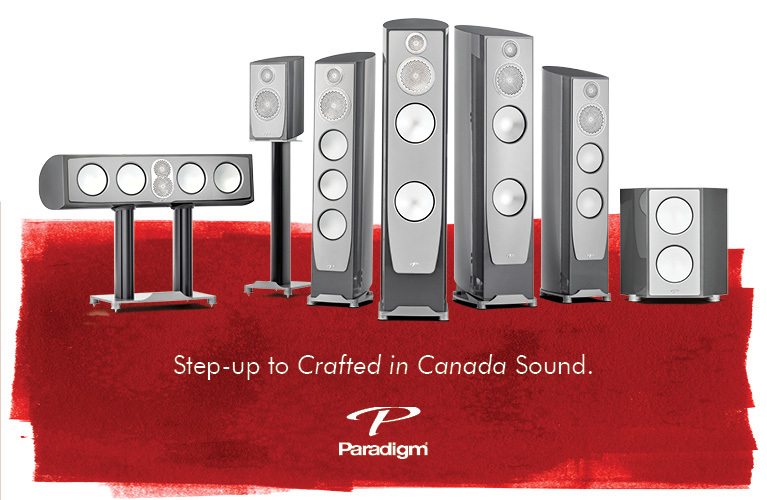 Paradigm’s 2.1 system comprises two weighty satellite speakers in cabinets of high-gloss ABS plastic, sitting on built-in, adjustable table stands. Each houses a satin-anodized 1" aluminum-dome tweeter and a 4" midrange-woofer, handing off to each other at 2.4kHz via a third-order crossover. Paradigm claims the satellite has an on-axis frequency response of 140Hz-20kHz, ±2dB. The speaker measures 7.75"H x 4.5"W x 5.75"D and weighs 5 pounds. Magnetically attached grilles are included, though I preferred to leave them off. The oblong powered subwoofer makes use of a side-mounted 8" cone of reinforced polymer composite with a 1.5" voice-coil. The enclosure itself is 15.75"H x 5"W x 14"D, and has a port at each end. Its output is said to be 2dB down at 32Hz, and it plays up to a hard cutoff of 150Hz. The 12.5-pound sub is also made from ABS, though finished in a matte black, not the satellites’ high gloss. The subwoofer can sit horizontally on its rubber feet, or vertically in its cradle (both included); I used it in the latter orientation. Its cabinet houses a single three-channel, class-D amplifier that delivers 40W to each of the satellites and 80W to the sub’s 8" cone. On the sub’s rear panel are a mains input, two inputs for the speaker wires with proprietary connectors (included), an Ethernet port that connects to the Millenia CT’s control box, and a dial for setting the sub’s output level. Paradigm worked with Apple for over a year to design the Millenia CT, which is made entirely in China, and the collaboration shows. The slim packaging for the system, as well as the color scheme and design of its marketing materials, is very reminiscent of those accompanying Apple’s own products. Additionally, the dimensions of the system’s control box are identical to those of the Apple TV, which is surely more than coincidental. The box has an optical input, a 3.5mm stereo mini-plug input, and an Ethernet port. Listeners control the system with a tiny plastic credit card-like remote that has buttons for volume control, muting, input selection, and power. The remote was the only disappointing aspect of the Millenia CT package -- it felt pretty flimsy -- but it operated the control box from 25’ away. Unpacking and setting up the 2.1 system was straightforward. All the required cabling is included: a power cord for the sub, optical and 3.5mm cables, an Ethernet cable, and two speaker cables that use tiny plastic connectors in lieu of bare wire or banana plugs. Setup took less than ten minutes, during which I placed a satellite to either side of my trusty, eBay-bought Samsung LCD TV. I placed the sub in its cradle and lined it up to the right of my TV stand. I ran the included optical cable from the CT’s control box to the Samsung’s audio output. This allowed me to try the Paradigms with everything that was connected to my TV, such as my Sony PlayStation 3, which I use to stream Netflix, watch movies on Blu-ray, and -- sparingly, of course -- waste time playing video games. It also allowed me to use the AirPlay feature of my Apple TV: I could wirelessly play my collection of lossless music files from my MacBook Pro laptop or iPhone. The Millenia CT can also be used as a high-end computer sound system, but after using it for a few weeks with my TV, I had zero desire to move it. Most "lifestyle" systems sound like crap compared to a half-decent pair of bookshelf speakers powered by a stereo receiver. They’re often cleverly packaged and look reasonable, but at the expense of an embellished midrange, embellished upper bass, no lower bass, and tinny treble. What I loved about my old Klipsch ProMedia speakers was that they sounded pretty even across the audioband, had deep bass, and could play cleanly and properly loud without distorting. They were hardly the last word in resolution or soundstaging. But what they did they did admirably. My hope was that the Paradigms would perform similarly. Any thought of comparing the Millenia CTs to the Klipsches evaporated within seconds of my starting to play music through the Canadian system. The Paradigm system should not be compared to a 2.1-channel computer speaker system, or a generic lifestyle system, or even the excellent Audioengine A5+ powered speakers ($399/pair) I so favorably reviewed earlier this year. It is superior in every way. "Aggressive Expansion," from Hans Zimmer and James Newton Howard’s score for The Dark Knight (16/44.1 ALAC, Warner Music), exploded from the Paradigms. There was a proper soundstage. Horns sounded like horns. Drums sounded like drums. There was a cohesive stereo image. The subwoofer played deeply and tunefully -- none of that boomy upper-bass garbage that many manufacturers try and peddle as "room-shaking." Picture Gerard Butler’s King Leonidas, from the film 300, when I say: This. Is. High-end. Collective Soul’s "December," from Collective Soul (16/44.1 ALAC, Atlantic), was rendered with appreciable crispness and appropriate weight. Ed Roland’s voice had just the right amount of airiness, and sounded as rich through the CTs as through my review pair of Definitive Technology’s BP8020-STs ($1199/pair). This is hardly a knock on the DefTechs -- the patented speaker diaphragms used in the Paradigm satellites were just sensational for the price. Perhaps more impressive than the vocals themselves was the fact that their timbres didn’t change as the volume increased. Even at the maximum volume I’m willing to play in my suburban apartment building without risking angering my neighbors, the Paradigms refused to distort -- a compliment to both the satellites and the amplifier driving them. The title track of Dire Straits’ superbly recorded Brothers in Arms (16/44.1 AIFF, Warner Bros.) was likely my favorite cut through the Millenia CTs. Mark Knopfler’s Gibson Les Paul is pregnant with texture and delicacy, and the diminutive satellites perfectly captured its sound. Its near-perfect tonally, and its resonance in the studio was convincingly conveyed. The satellites threw out an enormous amount of energy, sounding much larger than they actually are, but remained steadfastly clean and clear throughout this track, never softening or rounding the sound. Knopfler’s guitar was as metallic and edgy as his voice was smooth -- the satellites reproduced whatever had been recorded. Beyond music, however, I relied on the Millenia CT for stints of FIFA 12, Netflix, and Blu-ray films. In each instance, I was genuinely surprised by how much detail and clarity the Paradigms made available to me. I can’t overstate how accomplished the CT satellites were. Virtual soccer crowds voiced different chants, depending on which stadium I was "playing" in. Cries of "Theo!" rang out whenever Arsenal winger Theo Walcott had the ball, while "Come on Arsenal!" filled my living room with support as I tried desperately to improve my form in the realm of digital soccer. The opening scenes of Star Trek (2009) are frenzied. It’s an action-movie aficionado’s dream, with a multitude of special effects, including phaser fire, photon-torpedo explosions, an alien starship, and . . . childbirth? The first ten minutes of the film are pretty brutal on speakers when played at volume. But whereas something like the aforementioned Audioengines couldn’t quite keep pace, much of the action sounding a little muddled and closed-in, the Paradigms handled everything with aplomb. In a room of small to medium size, I’m not sure I’d want or need anything more expensive or substantial. The Millenia CT system was not without flaw. As mentioned above, the remote feels pretty cheap, considering the asking price of $699.99. Another input, perhaps of the RCA variety, might be nice for folks who don’t want to route everything through a TV, as I wound up doing. And the sub, whose sound was exceptional given its slender, 5"-wide profile, didn’t sound quite as accomplished as its satellites. Its bass level setting, which can be adjusted via a knob on the rear of the enclosure, is a little overzealous -- I would bet many listeners prefer their bass on the ripe side, but I dialed it back ever so little, to a level that sounded neutral. Even then, the sub felt a tad more loose through the lower register than the razor-sharp satellites did through the midrange and treble. But this is all nit-picking. For bass performance to match the satellites’, you could just buy Paradigm’s MilleniaOne CT system ($1199), which includes a heavily revised subwoofer and built-in amp. 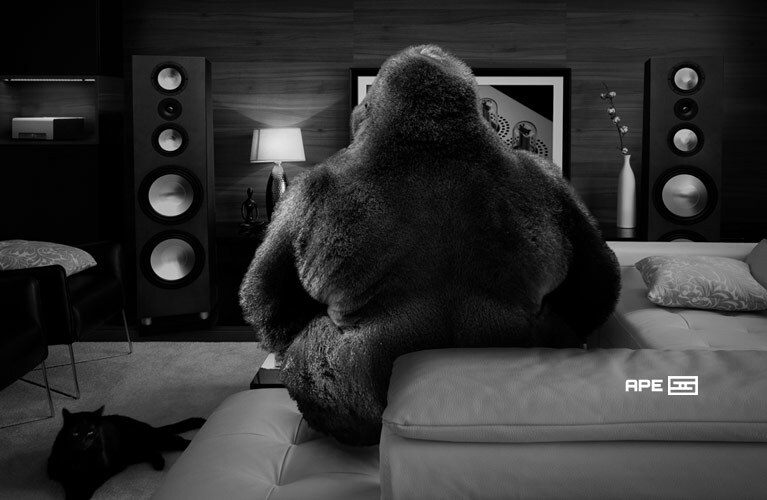 The Millenia CT satellites are, by themselves, high-end speakers. 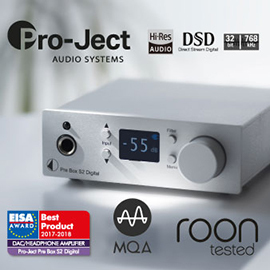 They use exactly the same drivers as Paradigm’s passive MilleniaOne speakers, which Roger Kanno wrote about in November 2010. Each MilleniaOne satellite, made of cast aluminum rather than the CT’s plastic, retailed for $250, or $500/pair. To have the identical drivers included in an active $699.99 system with a subwoofer is surprising, to say the least. The sub, with its 8" cone and believable extension to 32Hz, is very good for the price. Add a remote control and a control box with an optical input, and this loudspeaker system coalesces into a deeply compelling package. Those considering a home theater in a box would do well to consider Paradigm’s 2.1 system. For one who abhors hyperbole, I’m left with only one conclusion: Paradigm’s Millenia CT is exceptional. 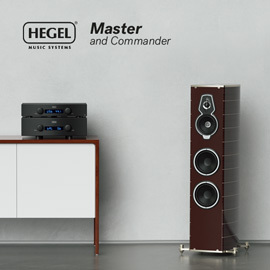 This conveniently sized and carefully conceived system doesn’t merely hint at high-end sound -- it actually provides it. If what I’ve written thus far isn’t convincing enough, then perhaps my actions will speak more clearly: I’m buying my review sample.